The province of Cebu is home to natural wonders, historical landmarks, and delectable cuisine. It is blessed with countless beaches and resorts scattered all over its islands. Being one of the first places in the Philippines to witness the Spanish colonization, it has become a home to some of the country's notable historic landmarks including Cebu City's Magellan's Cross and Basilica Minore del Santo Niño to name a few. Cebu's version of the suckling roasted pig is a must try. Located in Lapu Lapu, GV Hotels Lapu-lapu City is minutes from Our Lady of the Rule Church and close to St. James Amusement Park. 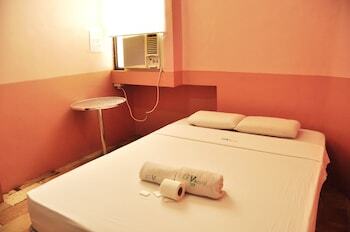 This hotel is within close proximity of Marcelo Fernan Bridge and J Centre Mall. "excellent and comfortable stay ay Golden Gate Suites"
I was looking for a place to stay overnight for our flight from mactan airport. 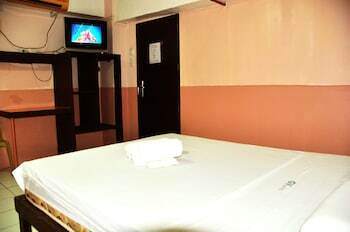 GV hotel is not very near the airport, yet it's very accessible to public transportation. It would take roughly 10 mins to the airport by taxi. The cheapest way is by riding the jeepney, costed less than P20. Jeepneys stop in front of the hotel, so very convenient. Hotel staff were okay. They were aware of our late arrival. Room is not new, but just ok. Overall, it was a satisfying stay in GV Hotel Mactan (Opon). Would definitely stay again in the future.